Samsung’s release of the Gear Fit smartwatch back in February has really set the tone for this year. Apple’s WWDC a couple of weeks back was heavily focused around the company’s new HealthKit initiative, and Google has just countered by announcing Google Fit at I/O. Like HealthKit, its not so much an app as a platform, integrating with a myriad of Google services to track and log health-related data, and with Google having already named several partners including Adidas, Nike and RunKeeper, it will go toe-to-toe with HealthKit as the consumer electronics industry continues to spread its wings. Although Google Fit is an effort in and of itself, it’s difficult to talk about it without making comparisons to the similar efforts of the Big G’s Cupertino-based competitor, for like HealthKit, Google Fit will centralize data, allowing third-party apps to feed off information and tailor the experience accordingly. 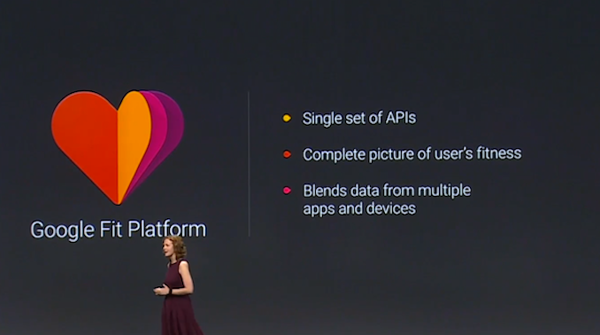 Given that Google Fit was among the latter announcements at this morning’s I/O conference in San Fran, the company didn’t get much of an opportunity to showcase all of its features before having to wrap up, but to all intents and purposes, this is very much Google’s Android-based answer to HealthKit. 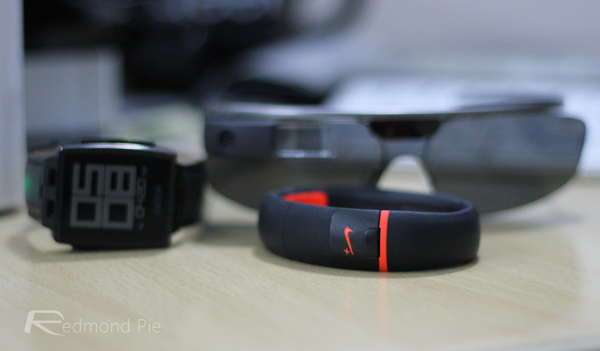 It’s somewhat surprising that Nike is in board right off the bat, particularly given the company’s close ties with Apple, but given how the Nike+ FuelBand companion app just made its debut over at the Play Store, perhaps we ought to have seen this one coming. As Apple fans wait to see what comes of the iWatch, though, Google has the advantage of having already announced Android Wear, and so we should begin to see how the company’s smartwatch and health / fitness efforts will tie in with one another very soon indeed. Given how personal a device like a smartwatch is, Android Wear doubtlessly be integral to the experience, and with a Google Fit SDK expected in a couple of weeks, developers will soon be able to dive straight in and begin creating new and exciting experiences. With Google having also today thrown down the gauntlet to Apple’s in-car announcements with Android Auto, it will be very interesting to watch these two tech titans battle it out on several new plains, and from what we’ve seen so far, both are taking this lucrative, trillion-dollar health and fitness industry very seriously indeed.